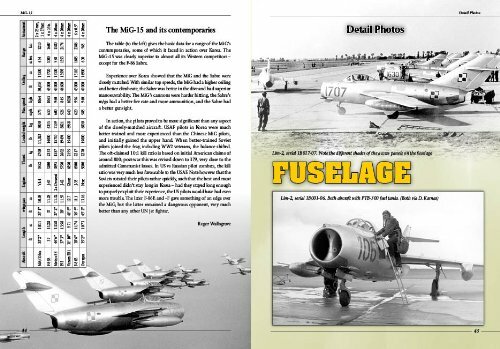 The MiG-15 needs as little introduction as the VW Beetle. It was one of the first successful swept-wing jet fighters and made its name during the Korean conflict dicing it out with its (almost) look-alike US counterpart, the F-86 Sabre. That similarity is a story in itself, and complicated too, and there are piles of published material that cover this and all sorts of other political, technical, and operational history in depth. 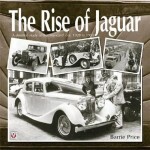 This book, however, as most by this publisher, especially those in certain of the nearly a dozen different series (this one is in the Yellow Series, no. 6134 [which does not mean there are actually six thousand separate volumes! ]), are geared towards modelers. They are pretty much always competent and detailed, offering a level of magnification not readily found elsewhere. This book . . . takes micro detail to a new level in regards to the variety of markings and paint schemes presented! 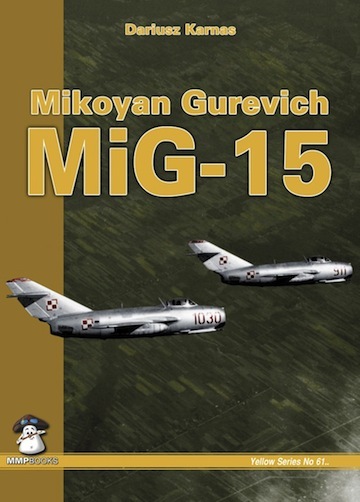 The MiG 15 was built by several countries and flown by many air forces. Naturally, all the usual suspects are shown here, but then there’s also exotica like paint schemes from Pakistan to Mozambique and Sri Lanka to Cuba. 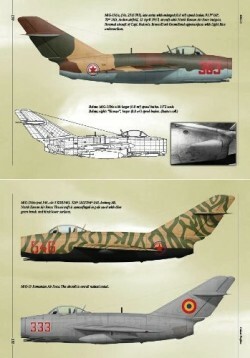 And there’s more: three different paint schemes for the Soviet aerobatic team, fictional markings on a warbird, a movie plane, special checkerboard wargame markings, camo for a radio-controlled target drone. 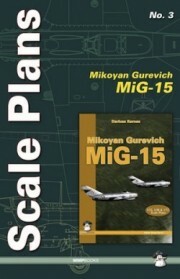 There are tons of off-the-shelf kits of the MiG 15 and you could customize dozens of them with the help if this book! And if even with its multitude of 3-views and technical drawings the book isn’t enough, there’s a separate 12-page volume of 1/48 and 1/32 scale plans (ISBN 978-8363678340) to keep your hands in glue for a long time. 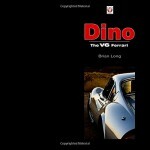 The first 50-odd pages present an overview of development and testing (Rolls-Royce-powered, if you didn’t know!) 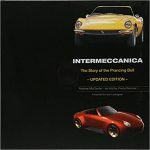 and discuss the great number of versions, accompanied by tables of specs, production numbers, aces, and even a comparison against five contemporaries. Karnas argues that the oft-quoted kill ratio of 10:1 in favor of the Americans is wildly exaggerated and that the Russians would have better numbers at any rate if they hadn’t rotated flight crews so often. 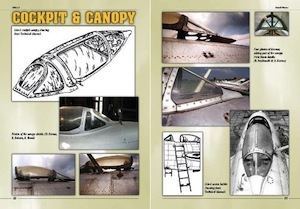 The bulk of the book, some 100 pages, consists of hundreds of photos and illustrations from the Technical Manual or specially created for this book, divided by major assembly (fuselage, wing, cockpit, undercarriage etc.). There are literally pages of detail shots of, say, air brakes. 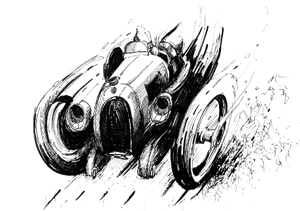 There are also several drawings of cockpit layouts, including the backseater’s station (where applicable). There are at least two instances in which a gauge or switch is mislabeled but aircraft geeks will spot and mentally correct it while “civilians” won’t care. Some geekery, or at least a sustained attention span will come in handy for certain issues of micro detail because the illustrations, while comprehensively captioned, do not call out every single thing every single time. A case in point is the small mechanical indicator that pops out of the battery cover to tell the pilot if his front gear is down. Also, in some photos were you’d expect to see one, it is not visible but it may just be that some of the aircraft are shown at stages were some dismantling may have taken place. No biggie, but some folks like to get all indignant about such things. None of the 70 or so color profiles (by Chris Sandham-Bailey) are 3-views although in one case top and undersides of the wings are shown. Also, none of the illustrations show external stores (tanks, bombs etc.) which will frustrate some builders. A potentially very handy tech drawing—this time a proper 3-view—highlighting the differences between two versions is so small that detail is barely visible and even under the magnifying glass the 2-pt type is illegibly small. 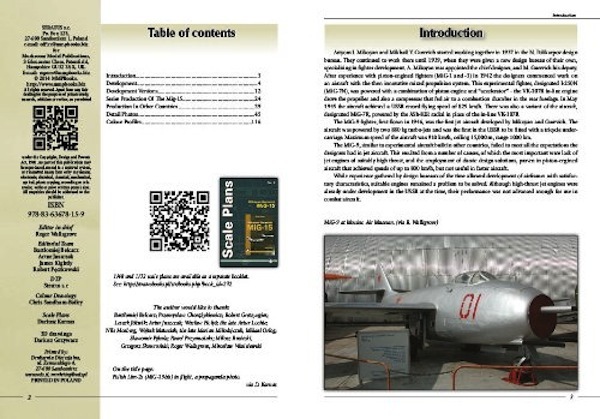 One page contains a QR code that takes you to the publisher’s website for a 360º cockpit view. 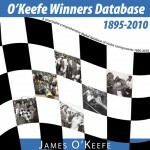 Lastly, this book is a moderately expanded version of the 2004 original (136 pages, ISBN 8389450054). The second edition is still plenty cheap but the first one cost half as much!